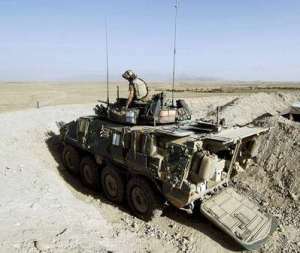 The Canadian Army selected a version of the Swiss MOWAG Piranha III 8 x 8 light armoured vehicle (LAV) in early 1997 to meet its future requirements. 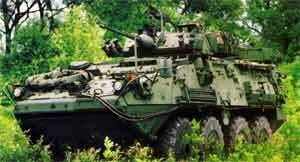 General Dynamics Land Systems (GDLS)-Canada now manufactures the vehicle in Canada since MOWAG was taken over by GDIS in August 1999. 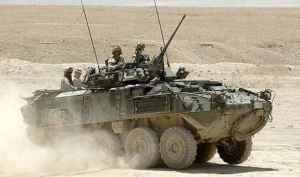 The Canadian Army is taking delivery of 651 LAV-III vehicles. 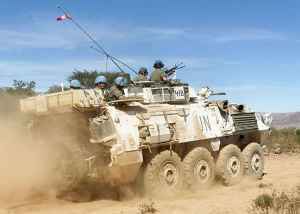 The armoured personnel carrier version is fitted with the latest-generation GDIS turret armed with an ATK Gun Systems Company 25mm M242 canon and machine guns and a day/thermal sighting system that also includes a laser rangefinder. The 25mm version is also in production for New Zealand, which has ordered 105 units; the first deliveries took place in 2003. 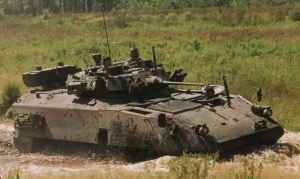 Specialised versions for Canada include TOW Under Armour, pioneer and forward observation officer/mortar fire-control vehicles. 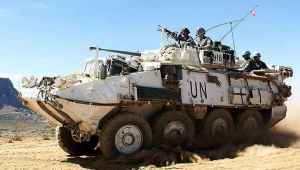 Standard equipment includes laser-warning receivers, powered steering, a central tyre-inflation system, a fire-detection and -suppression system, a winch, a nuclear, biological and chemical defensive system, applique passive armour, climate-control system and night-vision equipment. The US Army has adopted a version of the LAV-III called the Stryker (see next entry) and further development by MOWAG has resulted in the latest Piranha Mk IV 8 x 8. 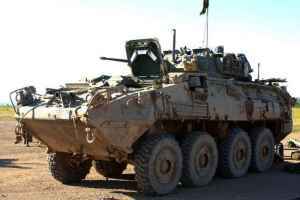 The Canadian Army has also taken delivery of 203 Coyote reconnaissance vehicles based on a LAV-II 8x8 chassis with a similar turret; some of these vehicles possess a mast-mounted sensor pod fitted at the back. 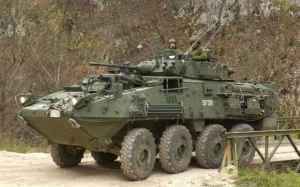 GDLS-Canada has also manufactured earlier versions of the Piranha for Australia, Canada (6 x 6 and 8 x 8) and Saudi Arabia. The latter country has purchased 10 variants, including 120mm mortar and 90mm guns.